As someone who often finds queueing for a changing room to try on multiple outfits stressful, this new 'magic mirror' is not only a great PR stunt for the shopping centre but potentially extremely useful. Developed by Adam Vahed, managing director of Apache Solutions, the technology uses a 58-inch plasma screen TV with a mounted depth-sensing camera on top. 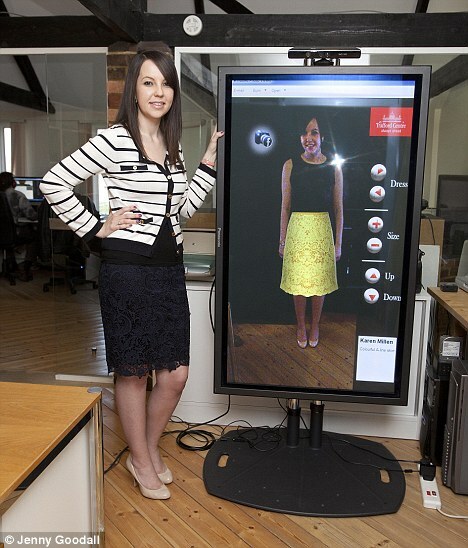 The mirror allows shoppers to sample outfits from multiple retailers all in one place while the 3D technology superimposes outfits over a live picture of the shopper's body. With augmented reality looking to become more integrated within our daily lives, the launch of this mirror firmly puts Manchester Trafford Centre ahead of the curve.